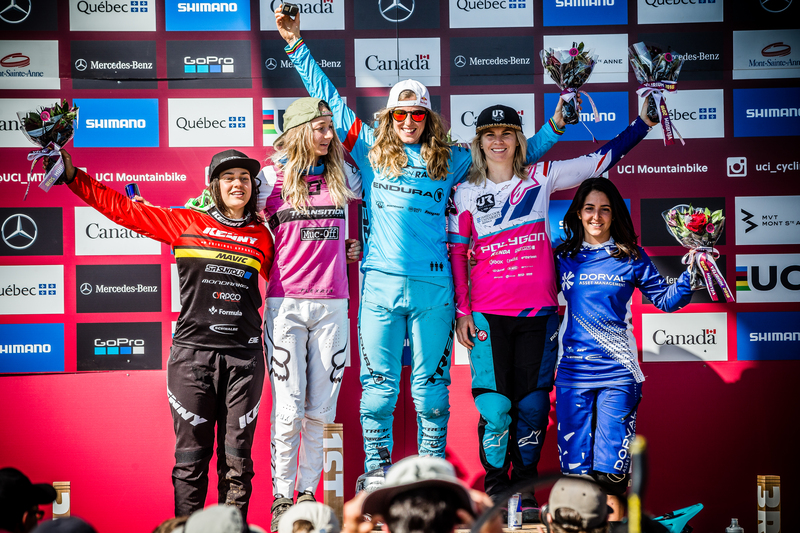 Last weekend, team was heading to Canada for the 6th round of the World Cup in Mont-Sainte-Anne, Canada and the start of Crankworx with Sam Reynolds competing for Speed and Style in Whistler. 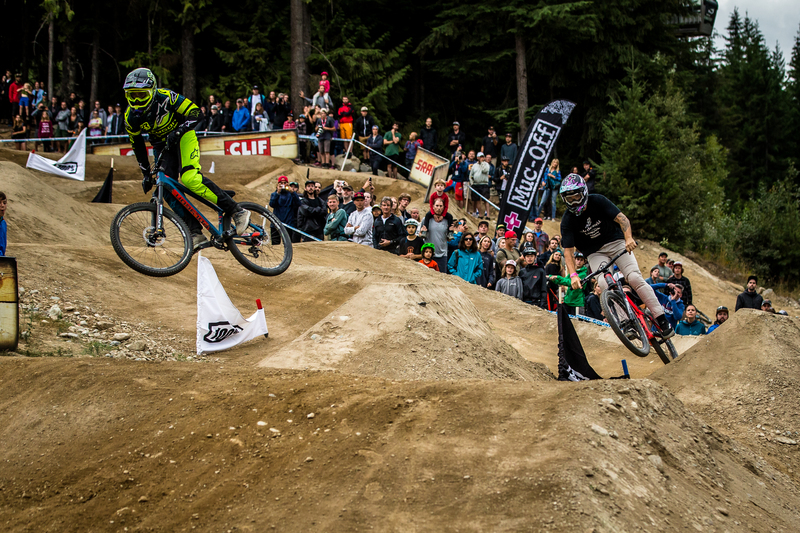 After a very consistent season in Sam Reynolds’ Speed and Style, Whistler was the last round and he was fired up to do his best and try to win the overall. He went to the small final and won against Kyle Strait. 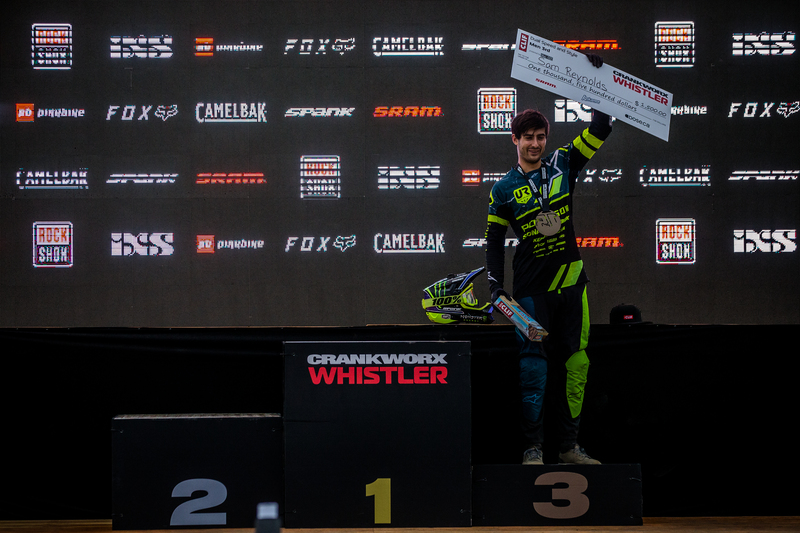 This awesome 3rd position makes him finish at the 2nd place of the Crankworx Speed and Style overalls. 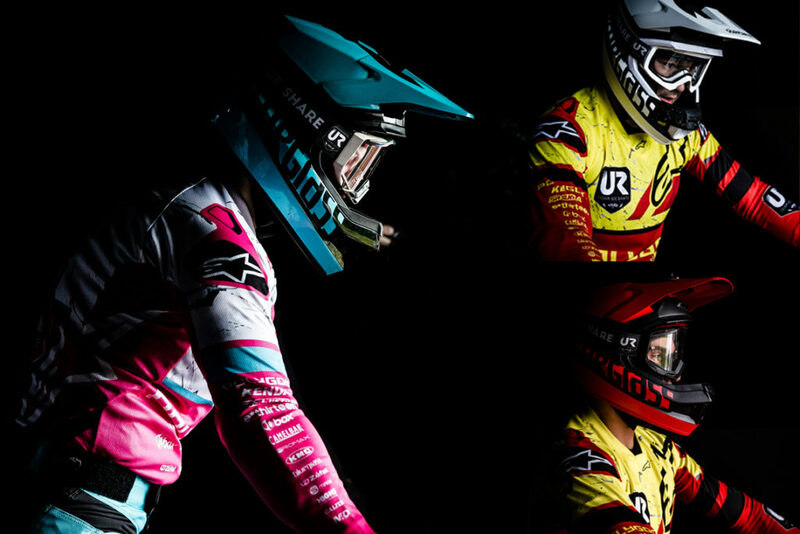 This is from far Sam’s best season in Speed and Style! Good Job and Congrats Sam! 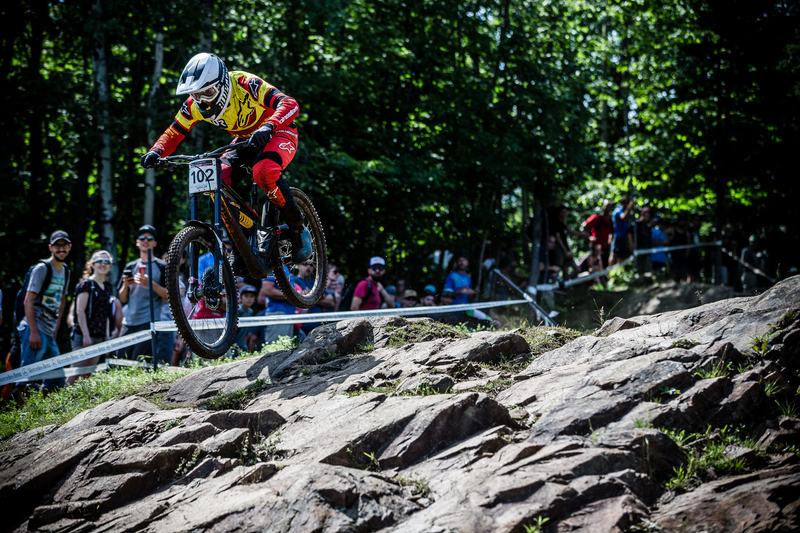 The week started with a classic huge storm but luckily the weather changed and we had a really nice and sunny weekend of racing. 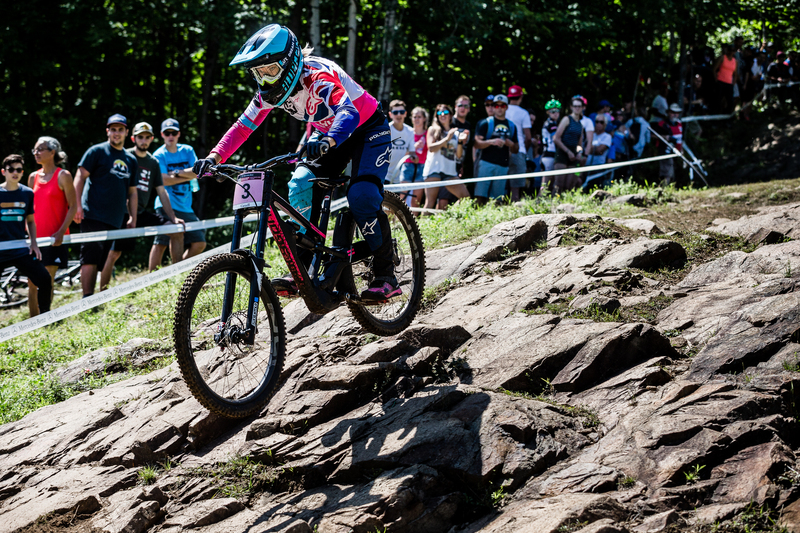 Tracey had a crash during her qualification run, the track was really tough. 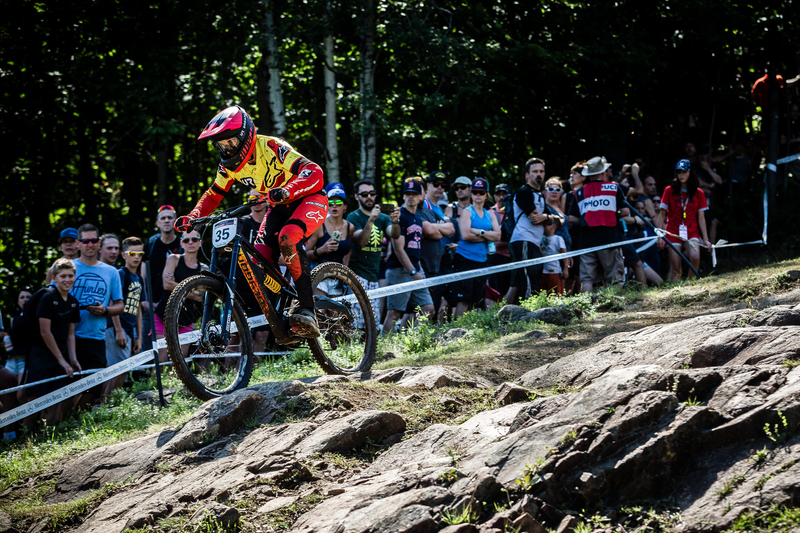 In the finals, she pushed her bike to the limit and still managed to keep her focus and finish her run at a great 3rd position! 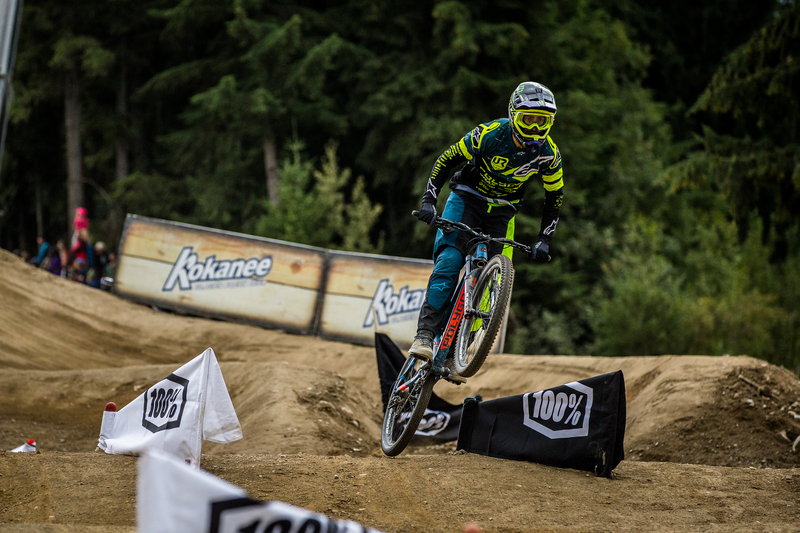 She scored more points for her 3rd position at the overall and she is fired up for Whistler and ready to race her favorite tracks there. Congrats Tracey!